Sometimes it helps tremendously to know what not to do. It automatically leads you to the right thing. That’s logic for you right there. So we present you with a list of mistakes you definitely shouldn’t make when looking for a rental in Amsterdam. Our social housing system works with a rental price that, at its max, is € 711,-. 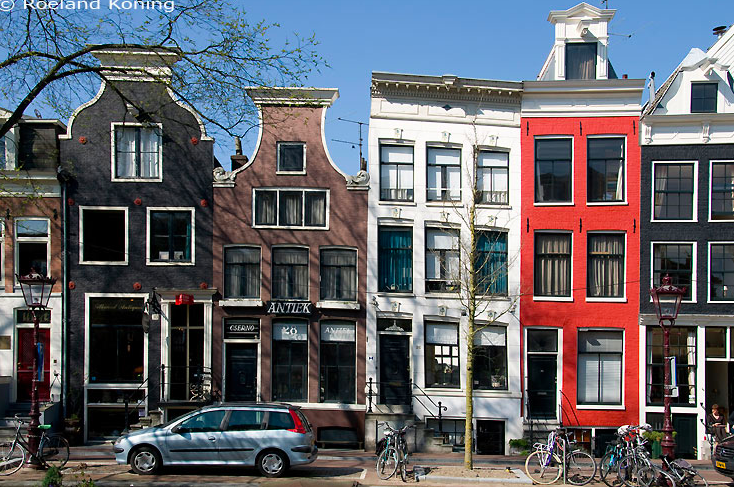 What you can conclude from that is that any homeowner in Amsterdam will rent their property for a higher amount. Enough rich citizens around that can put that amount of money down for a rental in Amsterdam. The average price per square meter in the center is € 24,56. So if we take a 55 square meter one bedroom apartment you’ll probably pay something a minimum of € 1350,- ex. You can get lucky – we saw them passing by: apartments for € 850,- on the Zeedijk for instance – but it takes time. Cutting out an area permanently is a pity. Everywhere in the city you can find nice neighbourhoods that will make you forget about the centre. And almost everybody has the same problem, which makes districts change rapidly. We have friends that were born and raised in Amsterdam who nowadays find themselves in Osdorp, Amstelveen and Duivendrecht. Take a look, before you exclude areas like Nieuw-West or North when you are looking for a rental in Amsterdam. Start in time and take your time. If you have the chance, block two weeks in your calendar. Use those days to map out what your rental in Amsterdam really needs, what its location should be and what your castle may cost. When you figured this out, you can start responding to listing. The competition is big, so do this a lot and repeat often. View as many apartments as possible en look a bit proper when you go for the viewing. To see beauty in some of the dumps you come across in Amsterdam is a form art. What doesn’t help is losing yourself scrolling through beautiful pictures of apartments with gardens and huge kitchens you can never afford, for weeks in a row. For now: Who cares. Walls you can paint and furniture you can purchase over time. Move in first, open a bottle of Champaign, and the rest will follow. To be honest it drove us crazy to go through all the steps to find a rental home. That’s why we started RentSlam. Our service sends you an email immediately every time a house which fits your criteria is published inline. We only work with reliable websites, so you don’t have to worry about scams. And it saves you tons of time, because you no longer have to manually check all of the sources ten times a day yourself. The affordable areas in Amsterdam Nieuw-West where you do want to liveIn which Amsterdam neighborhoods are the cheapest houses for rent?